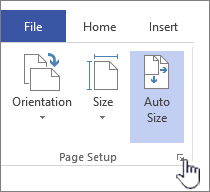 On the Design tab, click the Page Setup Dialog Box Launcher. 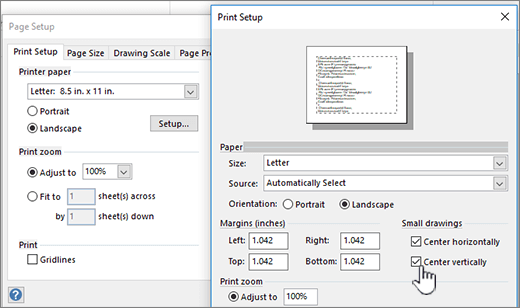 On the Print Setup tab, under Print, select the Gridlines check box. 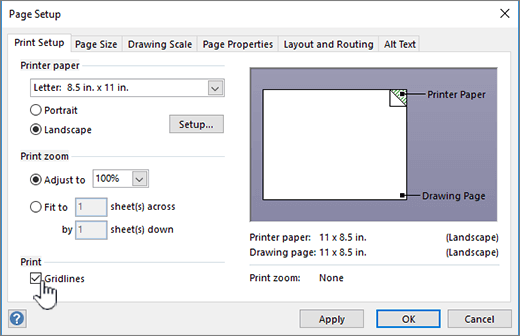 On the Print Setup tab, click Setup. Under Small drawings, select the Center horizontally and Center vertically check boxes. Click the printing option you want.